Kids have always loved the sugary taste of bubblegum. Now, they can enjoy it in a snow cone! Hawaiian Shaved Ice has the perfect flavor that tastes just like a piece of gum, but it won�t sit in your tummy for seven years if you swallow it! This flavor will make you want to blow a bubble (we don�t recommend it, that might create an icy mess) because it will taste so real! Have everyone raving about your shaved ice treats by having Hawaiian Shaved Ice�s blue bubble gum sno cone at your next gathering. 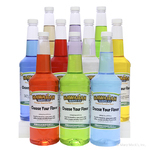 Your guests will enjoy the sweet, sugary taste! 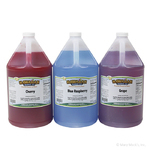 Purchase in the gallon size to make the whole crowd happy. 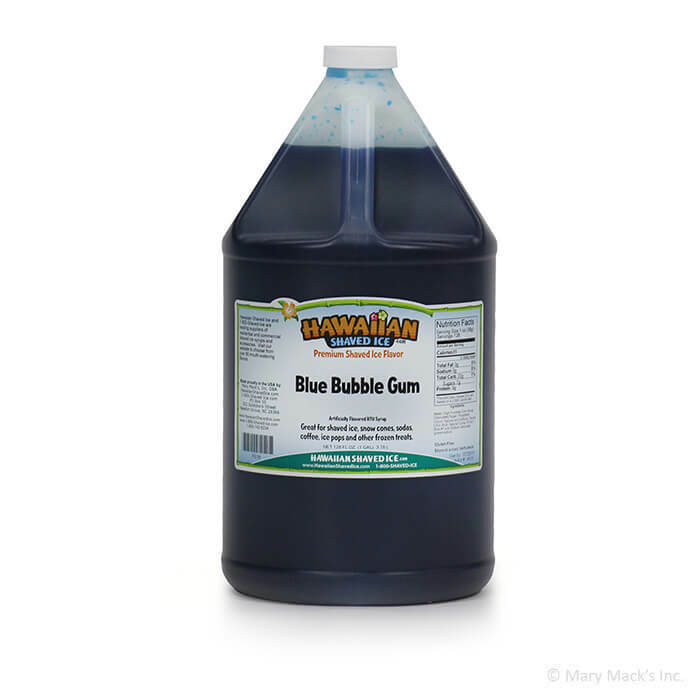 We also have our bubble gum snow cone syrup flavor available in the quarts and assorted packages, to enjoy with more of our great Hawaiian Shaved Ice flavors.